Paper shredding in Ireland is a growing industry sector and for good reason. Approximately 7% of all adults within the US have their identities misused with substantial financial losses equating to approximately €3,000. Close to 100 million additional people have their personal identifying information put at risk of identity theft each year when records from Government & Corporate databases are misplaced or stolen. It makes total sense to see secure, professional, and regulated destruction services being introduced and increased in Ireland. Services such as on site document shredding, clear out shredding, purge clear out services and off-site document shredding services are there for all Corporates and Governments to implement to protect your and my identity. The level of sophistication used by organised crime to facilitate identity theft is ever increasing. Examples of such sophistication to name but a few are; tailored vishing scams, hacks of corporate and government databases to elaborate bots designed to hack your computer without leaving a trace. 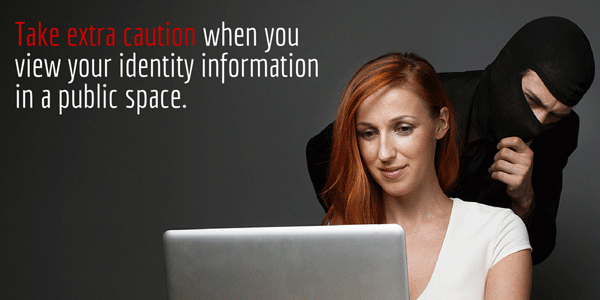 The more historic/basic methods of identity theft are still out there with high numbers of people being a victim of. 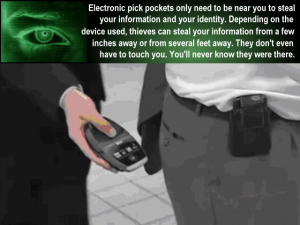 Simply pick pocketing wallets, going through your waste bins for sensitive paper, following waste trucks to sift through the waste material for paper and social engineering to trick innocent people into releasing personal information still work and work well. Within this article, I will highlight some of the straightforward ways you can have your identity stolen with the hope that I can help some potentially targeted people in protecting their identity. There are also some tips to protect yourself when possible. People going through a pharmacy waste bin, unfortunately not all pharmacies avail of offsite document shredding services and their bins can contain significant amounts of personal information. People hacking into GP records, health records from a doctor’s office contain vital personal information. Many identity thieves will try to hack medical facilities electronic health records. Never use your place of birth as your security question, it is easy to find out this information. RFID scanner, many credit and debit cards are enabled for contactless payments. Yes, this is convenient but if a thief can get close enough to you he/she can make a convenient withdrawal at your expense. Using camera phones, always be careful when you are in a situation where you need to show personal details and information, a camera phone could be watching you. Accepting strange friend request on social media, if you do not know who they are, our advice does not accept. Putting cheques in the mail, if required always place additional paper within the envelope so the data cannot be seen under lights. Never changing your passwords, you should always change your password at least once a year. Failing to consider once off credit cards, it is a good idea if you are not a regular online shopper. Leaving receipts behind, you should always take your receipts with you even if it only shows the last four digits of your account number. This entry was posted in Confidential Shredding, Data Destruction, Data Management, Data Protection, Identity Theft and tagged Clear Out Shredding, off site document destruction, Off site document shredding, offsite document destruction, offsite document shredding, on site document shredding, on site paper destruction Ireland, onsite document shredding, onsite paper destruction Ireland, Paper Shredding Ireland, purge clear out service, shredding Ireland by Security in Shredding. Bookmark the permalink.